Smart Car Forums > Model Discussions > smart fortwo Electric Drive > Drive system engine off ! Hello , I am new to the club ...So Hi every one ! I parked the Smartie for the winter outside, (No, I did not read manual about the 14 day thing ) removed the 12v battery and put her to bed for the winter. Now I have a problem : it will not charge, and will not get to " Ready " ! dealer is 3 hours away ! Charger test good ..all green lights on ! 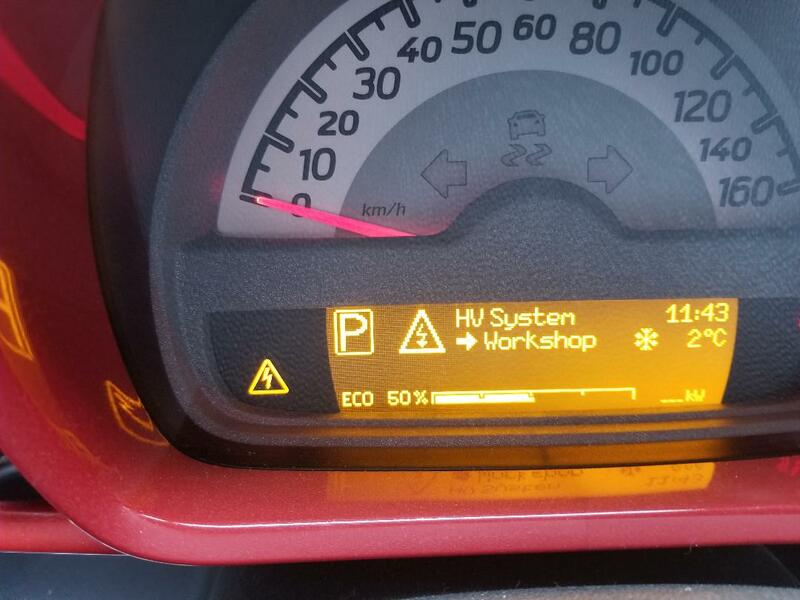 You must keep the Smart car plugged in for charging at all times when the temperature is below -20C (and preferably warmer) Seven days or more left unplugged at -25C or colder can ruin the lithium cells in the HV battery pack. But, by removing the 12V battery, you disabled all the car's systems required to turn on the HV battery pack heater and the battery heater itself (it runs off the 12V syatem) even if you had plugged it in. Yes, I know, in very cold climates, people sometimes bring their car batteries indoors in winter (although a fully charged Pb-acid battery won't freeze until -60C). You must NEVER do this in the case of a Smart in cold temperatures. If Siberia-level -60C temperatures are possible, keep the battery warm with a plumbing-type heater strip. But otherwise it will be OK.
And so (hopefully I'm wrong) the HV battery in your Smart ED is probably ruined. Unless the car is on warranty and you can cajole them to honor the warranty, this usually means the car is a write-off. You are not to blame for this sorry situation - it is the way Mercedes Benz's treats the consumer like an idiot and does not provide the technical information needed for an owner who has never owned an EV to understand how the car must be cared for in all kinds of situations the MB engineers might not have thought about. (especially in a climate far colder than Stuttgart). Last edited by Yinzer; 03-28-2019 at 10:15 AM. Thanks for the info .... Do you know if the car should charge with the warnings or will it not charge due to battery condition ? The software will decide if it is safe to charge or not. What is the current state of charge? If the car is a 2013 to 2015 model (the older 451 ED, not the new Smart EQ) you can buy one of these from a forum member that will allow you to download the battery pack self-diagnostics onto a laptop from the cars OBD port. A unit for use with the newer model is under development and might be finished by now. Contact him. This should be far cheaper than taking it to a dealer 3 hour away. While we'd be more than happy to supply one and interested to see the data download from this particular car, it's not likely that the BMS Diagnostics box is going to give a lot of illuminating information. Because of the way it works, it is very likely to report the results of the last battery self-diagnosis (prior to the car being parked for the winter) and may therefore provide a falsely hopeful/positive report of status. 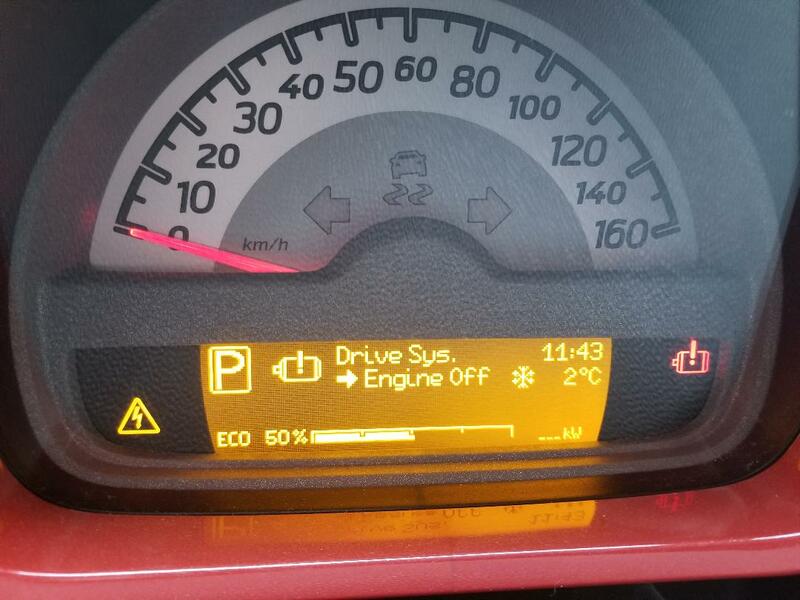 It would be interesting to see that data download, followed (unfortunately) by a dealer reset/re-enabling the battery, followed by a drive cycle and battery re-self-test, followed by a second data download to see any changes that happened to the battery over the winter period of disuse. We'd be happy to offer a money back (you pay shipping both ways) offer as we do to everyone, but I doubt that it's really going to tell you very much (and we don't have the necessary undocumented codes that the Smart dealer may have to re-enable the battery charging system, should that be needed [this is based on the experience of another member from Jordan, IIRC]). I don't want any forum members to end up disappointed. Thanks, Jim. I forgot about the self-diagnosis being from a previous charge cycle. However, how does the drivetrain control system know to disable the car due to battery pack problems if it does not get self-diagnostic data - such as just the current cell voltages? There are a lot of things I'd still like to know how the Smart is set up to work. For example, I did some research looking at other EV owner forums and the cars with large packs (Tesla and Bolt) will turn their pack heaters on (while also charging the 12V battery) at low temperatures even unplugged, until the pack becomes nearly depleted. Tesla and GM also place their advisories to plug the car in in cold temperatures in obscure places in the owners manual - impossible to find in the index. The "must keep plugged in" in those car's cases is -30C. This may not be practical with the small pack in the Smart. As far as discussions in the forums themselves it is hard to get much information simply because the vast majority of EVs at this point tend to be operated in areas with mild to moderate winters with just a smattering of owners in Ottawa or Quebec, but few in the really frigid-winter areas. There is a certainly some misinformation around - such as a claim that the best way to store a laptop battery long term is half-discharged in a freezer, so cold can only be good for an EV battery which, whether true or not, neglects to point out that -30C (-22F) is a lot colder than a typical home freezer. But providing a free trial unit to Bruce is a great idea. I'll look forward to the results. I was going to buy one anyways , as I though the same thing (cheaper than dealer ) . I am sure I will not be disappointed . I will gladly share all info gathered. I could not find your personal e-mail to make the purchase, ( as noted in one of your post's ) So if you could e-mail me with what you need from me we can move forward on this . Now for the big question ; If I purchase a OBD code reader that does Smart Electric will it be able to rest the codes so I can Charge the Car ? Unfortunately, while a OBD (MB STAR System) may be available for the ED, I don't know of anyone in this forum who has ever found or used one for the Smart ED. It may not be as simple thing as resetting codes. If it is fault that protects a potentially dangerous battery pack (such as one that was discharged flat), you probably won't be able to do that. What does your SOC gauge indicate? As an engineer, I'm not quite sure how to read the marketing material about leaving the battery too flat and too cold for too long. The 14-day warning is dire, but I suspect is more dire than is real as they're seeking simplicity and clarity over precision in a manual like that. Here's the other thread from the member in Jordan who was asking about what to do with a totally flat traction battery. That didn't give a ton of information and he's not been back on the forum since then. And another one with a member who has not been back since either. If anyone does have access to the technical information on the OBD codes or CAN messages that the dealer tool uses to perform service actions on the Smart, my email is myfirstname at mylastname dotcom and I'll see if I can work them into the tool. As they say in Crimestoppers, "you can remain anonymous..."
In this particular case, if there is a protection mechanism that only the dealer can reset, you might be out of luck unless you can tow it (flatbed or rear wheels up) and even then, what do you do if you get to the dealer and they tell you the battery is irreversibly damaged? Now your car is 3 hours from home and it's even less convenient to plot your next steps.